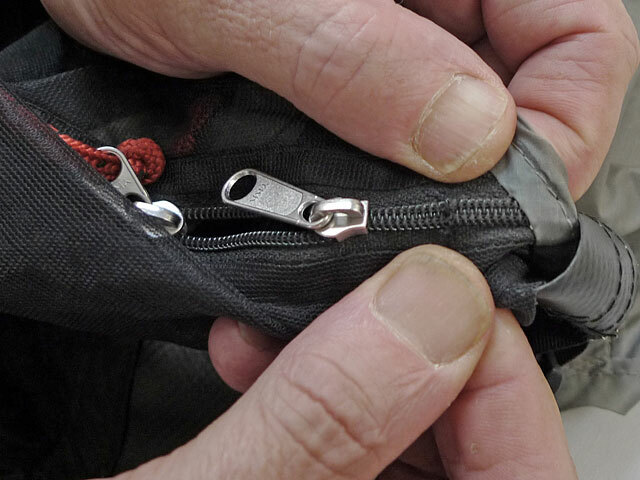 Zippers fail due to corrosion and due to dust and grit in the zipper coil which, in turn, cause the sliders to spread apart. 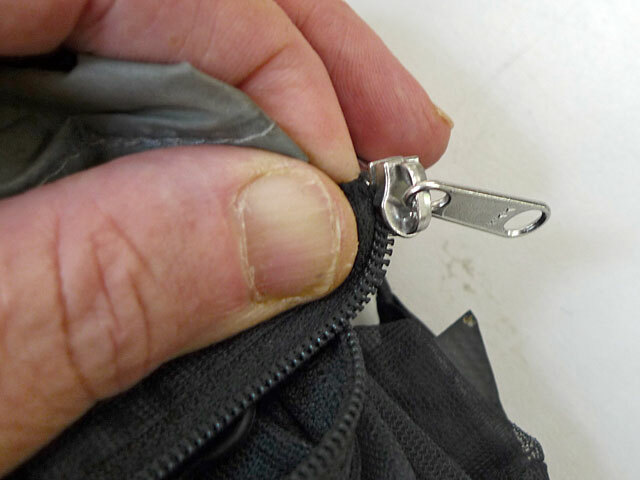 If the zipper coil sometimes opens up behind the slider, it may be possible to crimp the metal “jaws” back closer together and restore function. Slowly and carefully crimp/pinch the flared part of the sliders (top to bottom, both left and right sides) closer together. Pinch, try, pinch, try until the teeth start to lock. 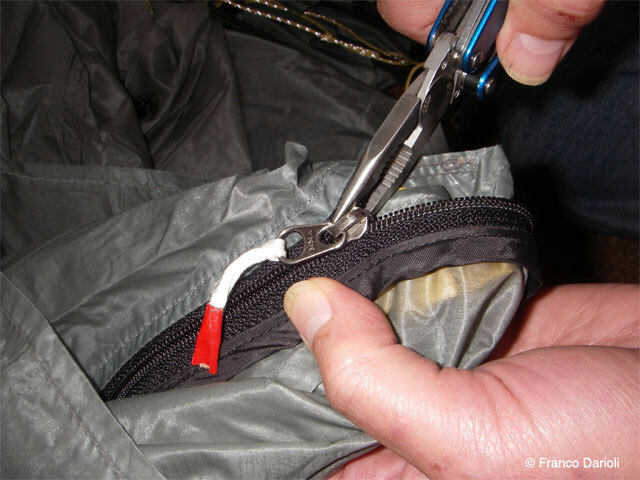 Clean your zippers with mild soap and water to remove the grit which caused the problem. If that does not work, it will be necessary to replace the sliders. We are happy to send you new ones (no charge). 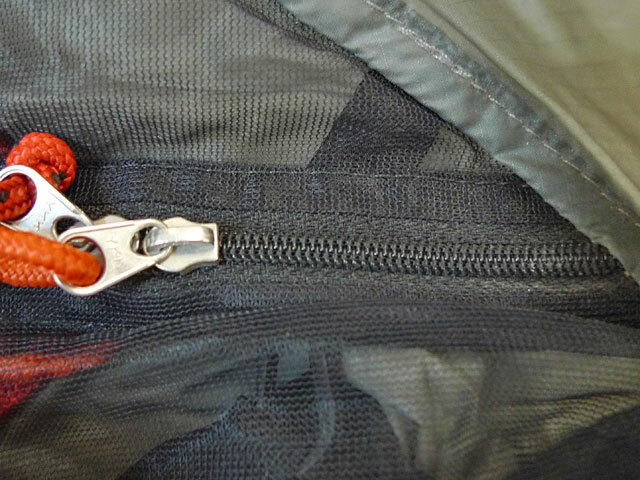 Locate end of zipper coil. 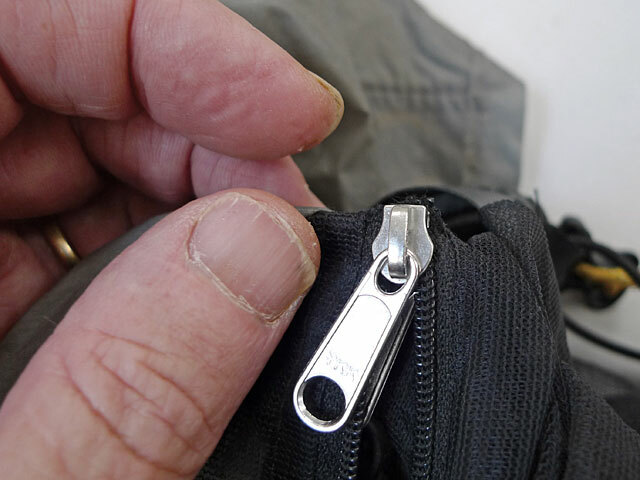 Cut through coil and slide off the bad zipper pull. Slide on new pull, being careful to align the raised side of the coil to the flange side of the pull. It’s very important to slide the coil in only partway (as shown) and only do one side at a time. Now slide the other side in and try to wiggle the coil to align the two halves. Grab one side of the coil and top of pull to hold the pull in place while inserting the other half of the coil. You should be able to push in the other coil half until you feel a sort of click to indicate that a tooth locked. Pull the slider while holding the coil to engage more teeth. 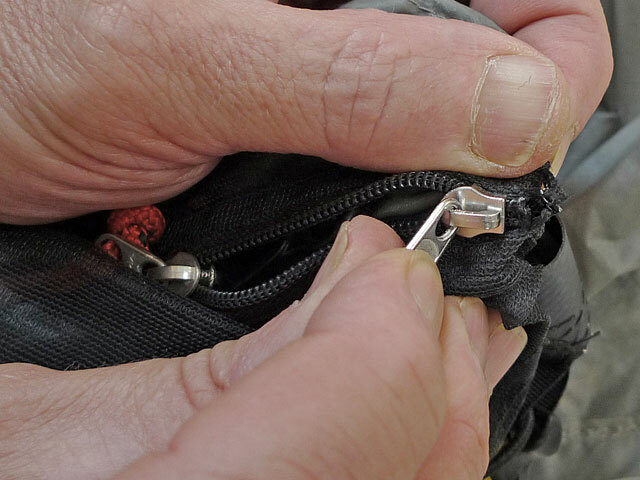 Once the new slider is fully engaged, sew up the incision to prevent the slider from coming off. Done!